The true flat P-Cap Panel PC delivers superior readability with its true flat screen with P-Cap technology. Multi-touch capabilities and hardware options provide greater control and flexibility, making this rugged panel pc a reliable solution in a variety of scenario. 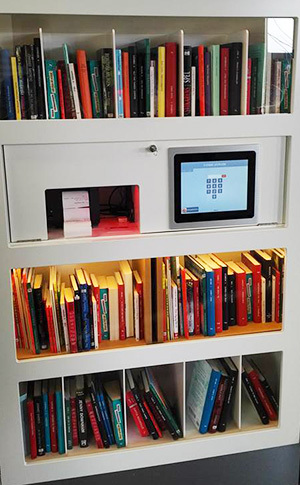 Winmate 10.4” flat multi-touch was installed in the Unmanned “Open Libraries” to record library circulation. Winmate’s flat panel mount PCs and displays are design to bring computing to scenario where desktop or notebook computers are not feasible, such as distribution and control centers, terminals or other demanding environments. 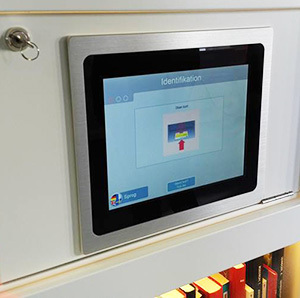 With P-Cap touch technology, users have quick, easy access to the information they need. Multi-touch capabilities have also been integrated to provide greater control and flexibility, making this rugged panel pc a reliable solution in scenarios where human machine interface is used. Winmate Flat Panel PC is also an eye catching and exceedingly elegant design with a sleek glass face and gleaming aluminium bezel / housing. Bottom line, Winmate’s series of advanced panel PCs are built to withstand the rigors of harsh environments while improving efficiencies and performance. 7", 10.1", 12.1", 15" 5", 7", 10.1", 15" 7", 10.1", 15.6" 10.4" - 21.5"